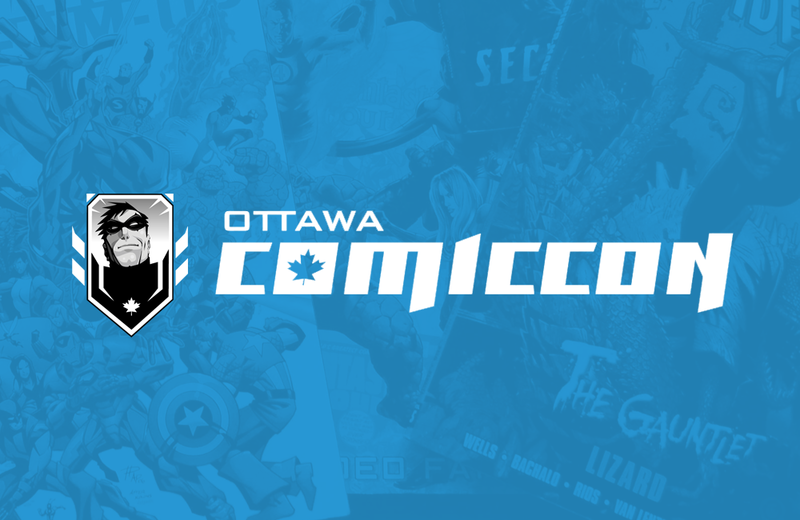 Ottawa Comiccon 2016 is just around the corner (May 13-15, 2016 at the EY Centre on 4889 Uplands Dr. in Ottawa, Canada). The event offers a range of activities, special guests, artists, and exhibitors. This is the show’s fifth year in Ottawa. Attendance has risen steadily each year and more than 40,000 fans attended in 2015. One-day tickets range from ~$30-$55 depending whether you buy online or at the door. One-day passes for children ages 6 to 12 are $5 online (+ taxes & service fee) and $10 at the door (taxes included). Cameras and recording devices are allowed, although there may be restrictions on their use during celebrity panels and other events. The large exhibition hall features a variety of dealers selling a wide range of pop culture collectibles, including comic books, video games, and movies. “The Masquerade” is an amateur costume competition held on the Saturday evening, showcasing the best in costuming and Cosplay that Ottawa has to offer. No pre-purchased or rented costumes allowed! This year’s guests include British actress Arthur Darvill (Doctor Who / Legends of Tomorrow), Caity Lotz (Arrow / Legends of Tomorrow), ELiza Dushku (Buffy the Vampire Slayer), Lou Ferrigno (The Incredible Hulk), Manu Bennett (Spartacus), Ming-Na Wen (Agents of S.H.I.E.L.D. ), Sean Astin (The Lord of the Rings), Tom Payne (The Walking Dead), and Will Friedle (Batman Beyond). Planned activities include Celebrity Q&As, photo ops, autograph sessions, panel discussions, and workshops. Check out the website for the most up-to-date schedule. See you there? The world's largest collection of American cartoons and comics resides at the Billy Ireland Cartoon Library & Museum at Ohio State University.